We are dedicated cockatiel breeders that cater to the specialised breeding market or pet buyer. Because of many recent requests we now have decided to look after birds for people that are going on holidays. Your pet can be looked after in my home and be a family member for the time you are away. Please call for further information. We cater for all pets including birds. A reliable award winning profesional pet care business established since 1970. Phone reception for bookings or enquiries on 3287 6606. 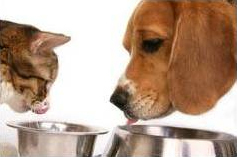 Eastern Suburbs Pet Feeding & Homecare Piece of Mind that your pets are being well cared for. We feed all types of Pets – including Reptiles. Collect mail/Put bins in & out/Pots watered. Beaks Bird Minding will look after your birds and, for an extra charge, provide transport to and from your house. Worried about what to do with your pet bird when you go away for a few days? Beaks Bird Minding / Boarding will look after your birds and, for an extra charge, provide transport to and from your house. A safe home with plenty of T.L.C. A truly special place to leave your bird! For too long, only kennels and catteries have been available, much to the dismay of bird owners. Now it’s time for our feathered friends to secure a bit of luxury. To make a booking or to get more information, call Margaret today on 0419 641 921 for a home away from home for your feathered loved ones. Established in 2006, K9 Walkers provides pet minding and dog walking services to most areas of the NSW Central Coast. We deliver a professional and affordable service for a variety of pets. While you are away, we not only care for your pets, but also clear your letterbox and put your bins in and out as required. K9 Walkers offers flexibility to best meet the needs of you and your pets. Giving you peace of mind because we care for your pets and home like we would our own and have been police checked. Many happy and repeat customers! Going away... call Pat today. Referred by vets, references available. Increased home security. Cheaper than boarding. Keep your pets home & happy. Feeding, walking, playing, cuddling & cleaning. A safe and enriching environment for all companion parrots. We look after your pets while you are away on holidays or if you simply have a busy lifestyle and still want the companionship of a pet. We will also collect your mail, water your plants and take out your rubbish. Services Include: Holiday feeding and care, whether it is a single pet or a large breeding complex, we will look after them. Over 25 years experience in caring for and breeding birds. Medications administered, wing clipping, beak and nail trimming. Servicing the western suburbs. Holiday feeding and care, whether it is a single pet or a large breeding complex, we will look after them. Over 25 years experience in caring for and breeding birds. Medications administered, wing clipping, beak and nail trimming. Going on holidays or away for the weekend? Your pets remain in familiar surroundings of their own home. All pets cared for including horses & other large animals. Registered & insured business. Testimonials available. \r\nPolice clearance certificate. We walk, feed & care for your pet birds in your own home. Professional & reliable holiday & weekend care. We provide lots of cuddles & TLC. Feeding and loving care visits at your home. Parrots are my passion! Since 2002, I have had the joy of working with birds ranging from finches to macaws. I have been a foster mom for the local bird club, and the bird adoption coordinator. Now I volunteer for the Oregon Humane Society as a parrot foster mom and go to the facility to socialize the birds there. I also volunteer for 911 Parrot Alert. One of the hardest things to do is go away on vacation or for work and worry about your feathered friends. While you are gone I will provide specialized care for your parrot. Quality care and less stress in their familiar home environment. Services include daily cage cleaning, play time, fresh food and water. Other things need to be done? That can be arranged, let's talk. I do also care for cats, dogs, fish, and rodents. "Pet Minding for all creatures great and small"
We can provide a tailored program for your pet. Homestays & daily visits can be arranged. 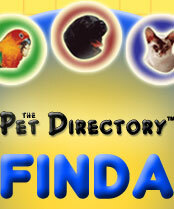 Free consultation visit to discuss your pet's specific needs. SMS updates and email home cards. We are fully insured with all staff police checked. References can be provided on request. Mind At Ease Pet & Property Services makes going on holiday easy, we can come to your home and feed your chooks, bird, dogs and cats. We have a very extensive service, so give us a call. We service Beaudesert, Rathdowney, Palen Creek, Kooralbyn, Christmas Creek areas, if you are unsure about your area, just give us a call, only to happy to obilge if we can. Pet minding, pet sitting bird minding house sitting Mind at Ease Pet & Property Services, lawn mowing collect mail, water plants. Cockatiels. Macaws. Lorikeets. Quakers. Cockatoos. Parrots. Bird Health. Diet. Behaviour. Hi, my name is Samantha, I am 20 years old and have a great passion for animals. I am looking to make some pocket money on the side as I am saving up to do a course in Companion Animal Services to work in a shelter or start my own business. I am located in Ipswich and I am willing to travel up to 20kms to look after your pet/s although I may have to charge (reasonably) more for fuel.. I have experience with all animals but if you have any specifications of how to care for your animal or they need medicine, I am more than happy to meet you anytime before hand to let you show me what needs to be done. I charge $15 a day no matter how many pets there are and includes collecting mail, taking out/bringing the bins in, garden needs and walking. My partner enjoys coming with me as he loves playing with animals and exercising them while I feed, cuddle and clean up after them before going for a walk. Bird sitting for budgies, cockatiels, small parrots, large parrots, canaries and finches. I'll visit your pet at your home (feed, clean,play). Even though we are Rat, Mice and Guinea Pig specialists, we can also cater to all small creatures with special requirements for feeding, medicating, grooming, etc. We strive to make a quality bird boarding facility where your companion will be comfortable, healthy and happy when in our care. Board your best (parrot) friend at Parrots in Paradise on the Sunshine Coast cared for by Dail who is not only an extremely experienced parrot trainer and intuitative, who caters for both your birds physical needs but also its mental needs while you are away. "how do i train my pet"
"how to train a bird"
"how to train a pet"
"how to train your bird"
"how to train your pet"
"world of warcraft pet training"
We mind your bird while you enjoy a holiday knowing it's care is our priority. Your bird will not have time to be bored or sad, so stress and frustration will be less likely. We board from Budgies to Macaws. BIRD MINDING IN YOUR HOME. Enquiries Welcome - please call Janine. Dogs, cats, birds, rabbits, guinea pigs all lovingly and professionally cared for. Minding insurance for your peace of mind. If you need your bird to have a loving home like environment while you travel then we are the place for you. We are happy to look after your birds. Going on holidays or just need a break, you are now able to board your birds with us. Also available for rabbits, guinea pigs, rats, mice, birds, fish and tortoises. "Home away from home for your best Friend"
We are happy to look after you feathered friend while you go on holidays, reasonable rates, phone Deborah from Boronia Heights, Logan City on 07 3402 2647. Hand rearing baby birds and parrots from 2 to 4 weeks of age. Boarding your birds or psrrots while you are on holidays. Our birdy bungalow is a luxurious sanctuary for birds of all breeds and sizes. With spacious, quiet, climate-controlled rooms, you can feel confident your bird is being cared for in a secure, relaxing environment. All birds are given at least 1 hour of supervised playtime outside of their cage twice daily and encouraged to interact with staff members during playtime. Birds feel most comfortable when in familiar surroundings, which is why we recommend bringing along your bird’s normal cage with them. We do however understand that this is not always feasible, and cages are available for hire upon request. Our cages feature natural, native branches for perching, stainless steel bowls and a large selection of enrichment toys to keep your loved one entertained for hours. All birds staying with us will be provided with fresh native branches, flowers, pine cones and pods to keep their minds stimulated. We use only the highest quality bird food for your loved one. All owners are encouraged to bring along their bird’s staple diet and any favourite treats when staying with us, as birds can be extremely resistant to change, and will feel more at home with a familiar diet. In the event that your bird’s staple diet is not accessible, we will provide food at no extra cost. All birds are provided with complimentary fresh vegetables, fruit and nuts daily. If you would like us to start converting your bird onto a healthier diet of pellets whilst staying with us, why not ask about our Birdy Boot Camp for only $1.00 extra per night. The health and safety of our guests is of primary importance to us, which is why all birds must receive a health check and avian chlamydia test before staying with us. We recommend Brisbane Bird & Exotics Veterinary Service as our preferred avian specialist, however any registered avian veterinarian will suffice. As a specialist trained, qualified veterinary nurse, Alana is more than happy to cater for birds requiring medication, at no additional cost. A current history is required if your bird has any pre-existing health and/or behavioural problems, however this can be organised with your veterinarian prior to boarding. Bird minding services in our own home. Bird boarding for all pet birds from macaws, eclectus, cockatoos, budgies, cockatiels, canaries, conures......., we supply cages or bring your own! Relax on your holiday knowing your bird is being cared for by experienced professionals! We can care for your precious birds in our home when you next holiday. We know the importance of your birds having constant human contact whilst you are away. We can also come to your home and change the water and feed your birds. 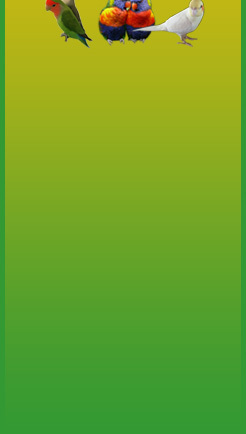 Bird boarding for budgies, cockatiels, all types of parrots, large or small, canaries and finches. *There are currently 558 people online.